At Granada Tile, we go above providing you with just the tile design you desire for your space. 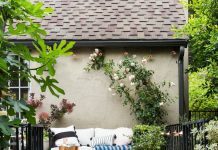 We give you background and share the encaustic tile history, so you can share what you’ve learned when you are entertaining and your guests are admiring your newly adorned home. Ceramic encaustic tiles were made with clay and glazes that have been put through a heating process to essentially burn the pigments and patterns into the tile. They are the most traditional type of tile we know and have been used by many cultures over centuries for ornamentation. While ceramic encaustic tiles are very similar to cement tiles, the materials and processes by which they are made differ from one another. Cement tiles are poured into metal molds from a mixture of cement, sand, pigment, and mineral powders. So to answer a common question, cement tiles are not truly encaustic. However, this term is acceptable. The term “cement tiles” has been interchangeably used with “encaustic tiles” since the mid-1800s, when Victorians thought they looked similar. 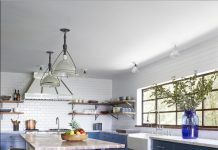 Now, let’s dive into the history behind ceramic encaustic tiles and the differences between traditional tiles and modern options available today. Where do Encaustic Tiles Originate? 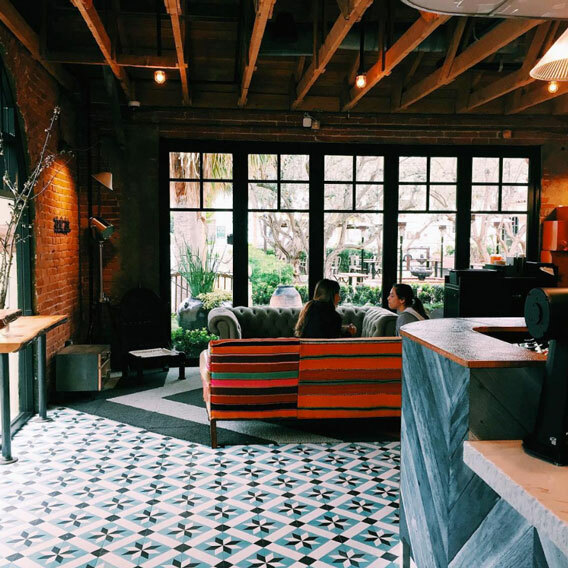 While many consider encaustic tiles to be the most traditional tile, they aren’t the first. Many 13th century and earlier churches and palaces incorporated the use of tile made of various shapes and interlocked them to form a mosaic-like design. This process was very time-consuming and tedious. Over time, new processes evolved and the beginning of the encaustic, or inlaid tile, began. The 12th and 13th centuries were the golden age for encaustic tile and western Europe was the region that brought them to life. 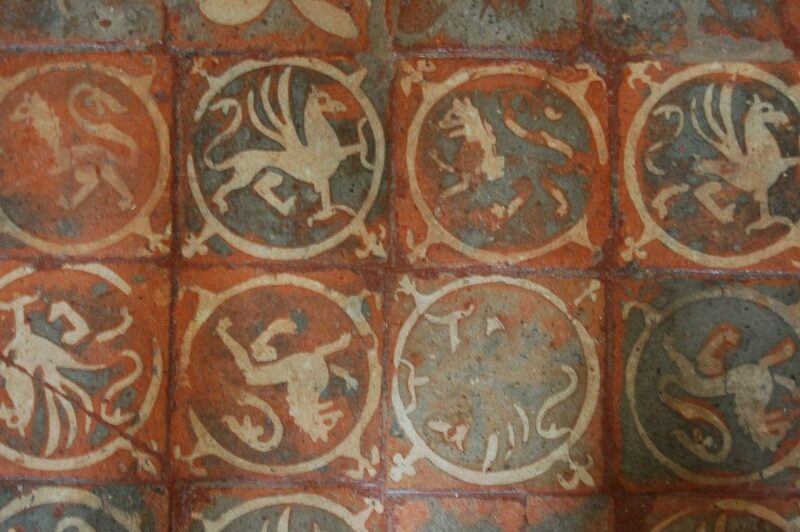 However, by the 16th century, encaustic tile had lost their popularity. They were resurrected back into style in the early 18th century, igniting the Gothic Revival movement when the interest in looking to the past for design inspiration and durability arose. In the 1830s, a merchant in Zaffer started experimenting with medieval tile reproductions, but ended up selling his business to Chamberlain & Co in Worcester and Herbert Minton in Stoke. Chamberlain started production right away, but Minton continued to refine the tile making process, building a special kiln. Eventually, Minton won several prestigious commissions including the Temple Church in London and the Palace of Westminster. 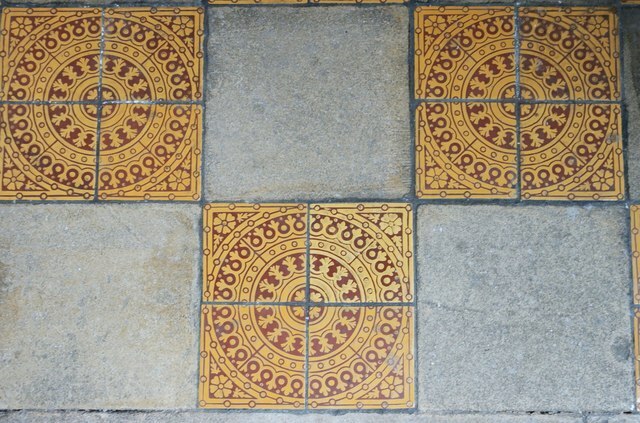 Encaustic tile began to grow in popularity, drawing more and more manufacturers to the trade. In the mid to late 1800s, tile manufacturer William Godwin of Lugwardine, Hereford started making tiles with an authentic medieval aesthetic that appealed to many over the mass-produced tiles from Minton. In the 1860s, the dust press was born, a mechanical form of tile production that involved drying the clay to about 8% moisture content and pressing it under the steel frame. 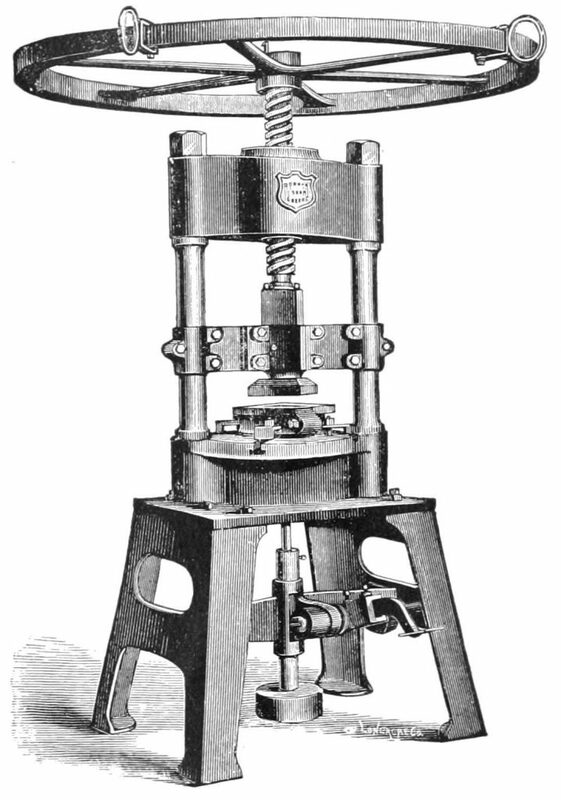 It was initially powered by hand and later operated by steam. The dust press developed into an array of machines capable of making dust-pressed encaustic tile, further improving and commercializing the process. By 1900, encaustic tile production soared in western and southern Europe until its sudden decline in the 1950s. At that time, the colorful style lost importance and was replaced by cheaper and less colorful tile. What Are Some Original Colors and Designs? This is a photo of a floor in Winchester Cathedral that was built in the 11th century. Encaustic tiles were originally made by impressing a pattern into unfired clay to a shallow depth that would allow artisans to fill the impressions with liquid clay or glazes. The tile body was usually made of red clay and the liquid clay was a white hue. The tiles were then glazed with a lead glaze and fired in a kiln to over 1,800 degrees Fahrenheit. The firing process would ensure that the glaze melted and formed a thin skin over the tile, securing the design and protecting the surface of the raw tile. The glaze often gave a warm honey tone to the white liquid clay in the impression and would create a rich brown color over the red clay body. Other traditional designs and colors included shades of yellow, green and black. Early techniques of the encaustic tile making process involved shaping clay by hand and pushing it into a cement mortar or clay body. Wood blocks would later be used to make impressions in the unfired clay body. Many early designs of encaustic tile, dating back to the 12th and 13th centuries, often reflected repetitive geometric designs inspired by Eastern influences like carpets and Moorish architecture. 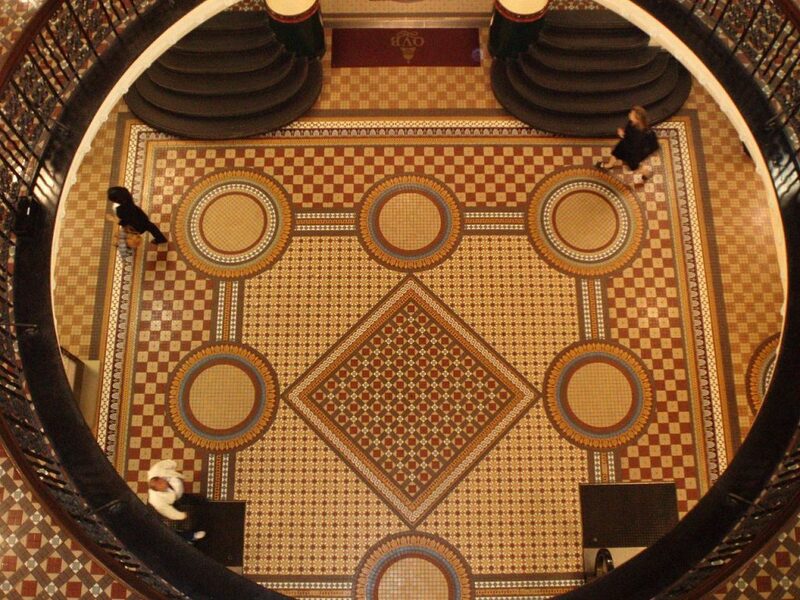 Where Can Original Encaustic Tiles Be Found Today? 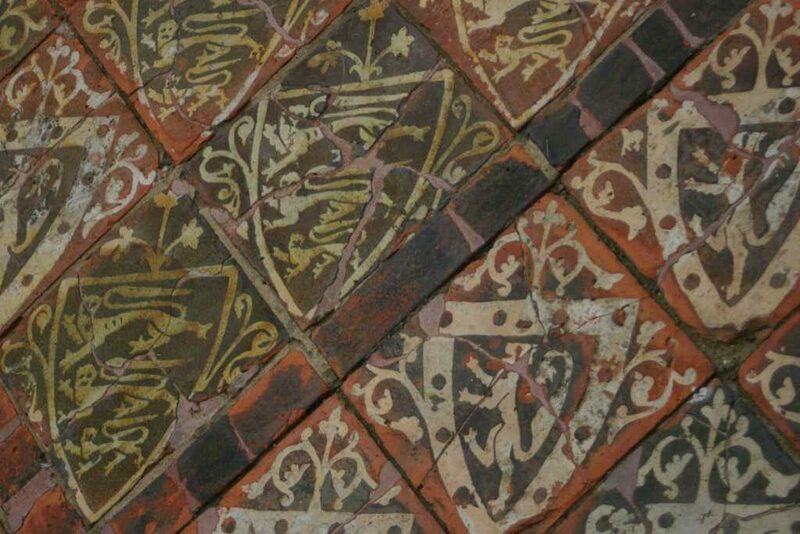 Original encaustic tile can be seen throughout Europe and regions in the Middle East, in churches, palaces and common residential homes. The U.S. Capitol has original Minton tiles, as well as the Victoria and Albert Museum. You can also find encaustic tiles in many Victorian-era homes. Are You Looking for Encaustic or Non-Encaustic Tiles? In the late 1800s and early 1900s, a product called “carreaux de ciments” (literally, cement tiles) was created and manufactured in France. These tiles were less expensive than more ornate ceramic encaustic tile. Original carreaux de ciments were usually larger and thicker than ceramic encaustic tiles and didn’t display as thin or ornate of lines as ceramics. However, over time, it can be seen that the original cement tiles often held up better than ceramics. 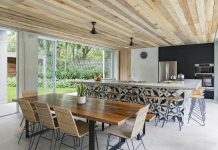 When looking for artisanal tiles to use in or outside your home, you may come across the term encaustic to describe both ceramic and cement tiles. However, because encaustic essentially means to “burn in,” cement tiles aren’t truly encaustic tile. The biggest difference between ceramic tile vs. cement tile is the manufacturing process. While ceramic tiles are made with clays and glazes and are fired in a kiln, cement tiles are made with a mixture of cement, marble powder and pigment that is then compressed under two thousand pounds of pressure and then air cured. Both tiles may look very similar, but the creation process sets them apart in terms of durability and aesthetic. Today, the cement tiles from Granada Tile are each handmade by trained artisans. The result is that no two cement tiles look exactly alike, with subtle differences noting the handmade process. At Granada Tile, you won’t find two tiles exactly alike. That’s because we don’t sell mass-produced tiles. We often use “encaustic” to describe our tiles, but they are cement, not ceramic. This means that you’re getting all the charm and durability of this tile type. When browsing our collections, you’ll find tile designs influenced by many regions and cultures, including Europe, South America, Morocco, the Mediterranean and beyond. We have chosen to “cement” the time-honored artisanal methods and influences in history by offering truly one-of-a-kind residential and commercial tiles. To get started designing your own encaustic cement tiles with Granada Tile, get in touch with our experts today. 1: © Copyright MortimerCat and licensed for reuse under this Creative Commons Licence. No changes were made to the photograph. 2: © Copyright Bob Harvey and licensed for reuse under this Creative Commons Licence. No changes were made to the photograph. 3: © Copyright Liam Wyatt and licensed for reuse under this Creative Commons Licence. No changes were made to the photograph. 4: Wilkes Screw Dust Press image is under the public domain and can be found here.